Rice is native to the south of Asia. 2 Is Rice Good for Weight Loss? Rice supplies as much as half the daily calories consumed by half of the world's population, according to the George Mateljan Foundation. In fact, in some cultures, the phrase "to eat" literally means "to eat rice." The popularity of this grain can be attributed, in part, to its nutritional value. 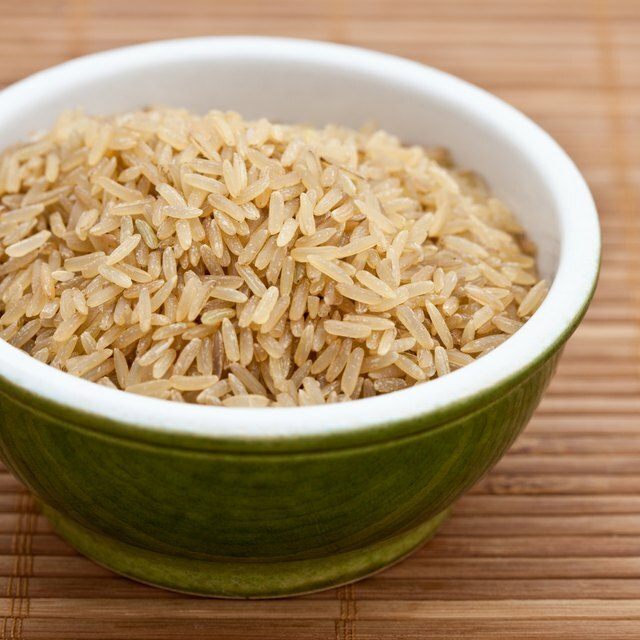 According to Edward Sturtevant, brown rice is indigenous to India, from where it was introduced into China more than 3,000 years B.C. The grain was imported as an article of trade to Sicily, Italy, by Arab merchants until the early 15th century. Its cultivation was introduced directly from India to Mediterranean region by the Portuguese in the 16th century. It was first sown in America in 1647, and now the U.S. is one of the largest exporters of this grain. Of all the cereals, rice shares equal importance with wheat as a leading food source for humankind, according to the Cambridge World History of Food. This grain is a staple for nearly half of the world’s population. It accounts for fully 60 percent of all food consumption in Southeast Asia and about 35 percent of the food intake in South and East Asia. Although it is grown in more than 100 countries, 95 percent of the world’s rice crop is grown and consumed in Asia. 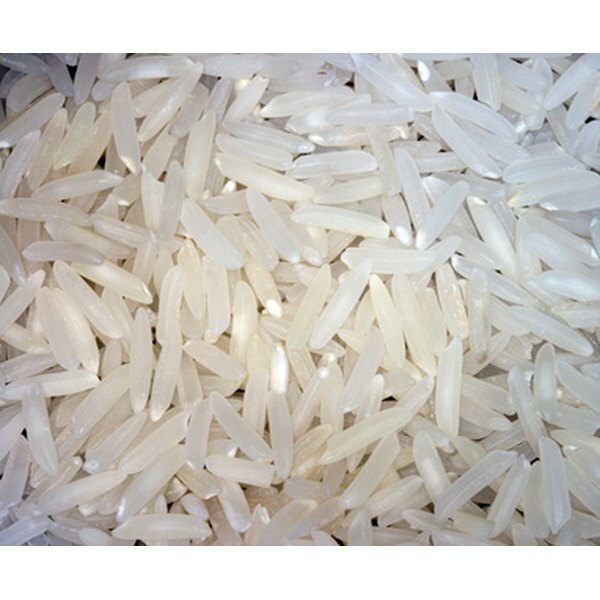 A one cup serving of cooked white rice contains 205 calories, according to the USDA National Nutrient Database. This provides 10 percent of the daily value for calories, based on a 2,000-calorie diet. Each 1-cup serving of cooked white rice provides 44.51g of carbohydrates, with 0.6g of dietary fiber and 0.1g of sugar, according to the USDA National Nutrient Database. It contains 4.25g of protein, providing 8 percent of the DV for protein. White rice contains no cholesterol. Each 1-cup serving of cooked white rice is also a dietary source for a number of vitamins, according to the USDA National Nutrient Database. These include 0.26mg of thiamin, 2.33mg of niacin and 92mcg of folate. Some of the minerals that it provides are 16mg of calcium, 1.9mg of iron, 68mg of magnesium and 0.75mg of manganese. Rice is prepared in several ways by different cultures around the world. According to David Franklin Houston and G.O. Kohler, authors of the book “Nutritional Properties of Rice,” the cooking methods employed to prepare white rice affect the nutritional value of the rice. Because B vitamins are water-soluble, recipes that call for the rice to be rinsed before cooking deplete the dish’s content of this essential vitamin. Similarly, a large proportion of the B vitamins are washed out when the rice is cooked in excess water that is discarded.